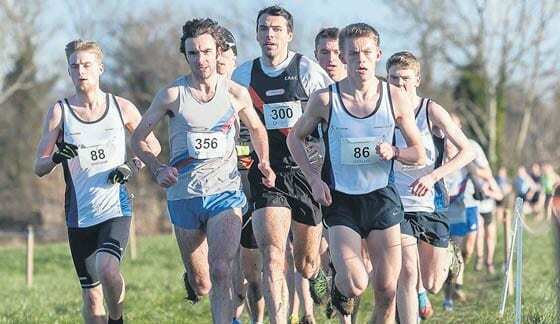 DSDAC’S John Eves showed that his three-week training stint in Kenya was just what the doctor ordered, as he produced the run of his life to convincingly win his first Leinster cross-country title in Dunboyne last Sunday. He led from start to finish to beat favourite Mark Kennelly, an Irish Olympian in the marathon and a former national senior winner. Eves also led the team of Alan McCormack, Robert Corbally, Leon O’Connor and Emmet Jennings to a four-point win over Clonliffe. Sarah Mulligan also led all the way in the women’s senior race over a tough 10,000m course. Her brave front running saw her fight off opponent after opponent and she finished a minute clear of a big field, which included international Under-23 teams from Scotland, Wales and Northern Ireland. In the Celtic International Under-17/20, DSD had four runners on the Irish teams and all acquitted themselves well as Niamh Carey (seventh), Jodie McCann (tenth) and James Maguire, also tenth, were all prominent in the early stages while Roseanne McCullough enjoyed her first experience at international level. It continues an already impressive start to 2015 for DSDAC as the club’s masters enjoyed a magical opening weekend to the year at the Dublin Masters Championships in St Anne’s Park, Raheny. In the ladies race, run over 3km, DSD entered both the Over-35 and Over-50 categories. Team silver was hard won by the ladies Over-50 team of Sheelagh Jones, Joan Coyle, Patricia Ganly, Marie McGabhann with Sheelagh Jones picking up gold in the Over-55 category and Joan Coyle winning gold in the Over-65. 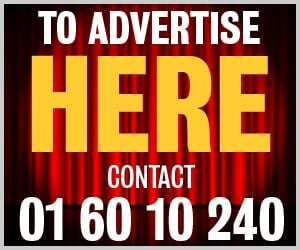 The Over-35 team, ably led by the wonderful Annette Kehoe and Pauline Robertson, were backed up by new entrants to the Masters Camilla Tuffy, Emer MacAvin and Mary Gurrie, just narrowly missed out on a team medal. The men tackled a 6km course with magical performances from the gun. The evergreen Peter Mathews was pipped on the line into second overall but won the Over-40 category by a considerable margin. It being three years since Mathews raced cross country, it was fabulous to see him back to his trademark running style and focused stern race face over cross country. Gary Crossan posted eighth place overall and second in the Over-40s. Mark Sheridan debuted at Masters level with a top 20 finish. Stephen Judge looked unwell before,during and after his race being just out the far side of a heavy cold earlier in the week, but still picked up bronze at Over-45. Masters racing now moves on to its next target race, the National Masters Cross Country on Sunday, February 8 in Tuam, Galway.